When you're out and about you never know what you might need. 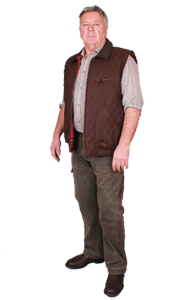 The Traveller is an all round utility vest constructed from our tough MicroWax oilskin to keep you warm and dry when you've gone walkabout. Trimmed with cowhide leather, it has more pockets than you can poke a stick at including a rear map pocket and oh-so-hookable D rings. Zip closure and fully cotton lined. What's the difference between the DELTA & TRAVELER !!! The Traveler is built using Kakadu's traditional 12oz oilskin for bad weather protection, the rest is the same, 18 pockets. 9 front patch pockets, 2 front zipper storage pockets, 2 side entry welt pockets, 2 internal security pockets, last of all is the 2 CCIS pockets. 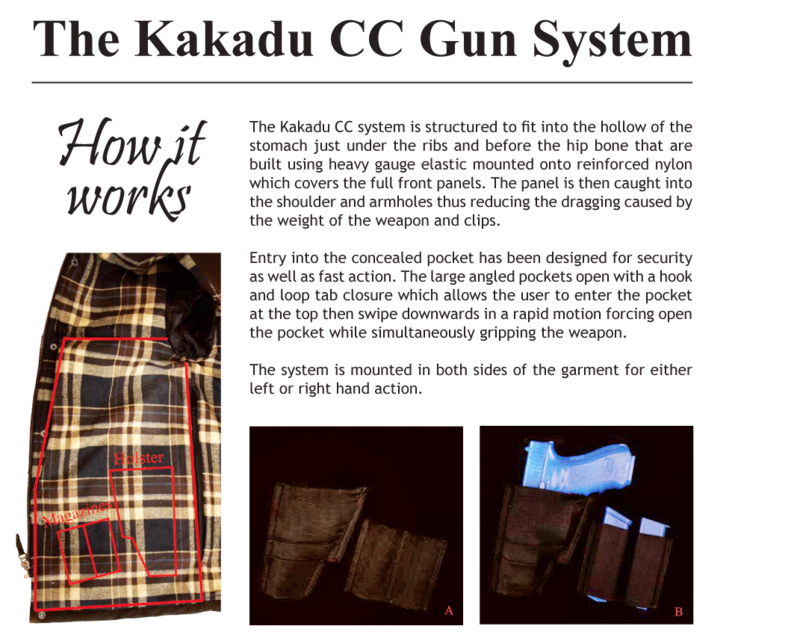 Brass zip closure, cowhide trim, full cotton lining covers the Kakadu concealed carry internal system (CCIS). Anti-imprint pads are not required as the 13 external front pockets distort any imprinting. 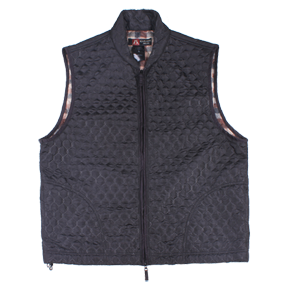 Features: This quilted oilskin vest is designed for comfort and ease of movement with its large handwarmer pockets, zippered chest pocket and brushed cotton lining. 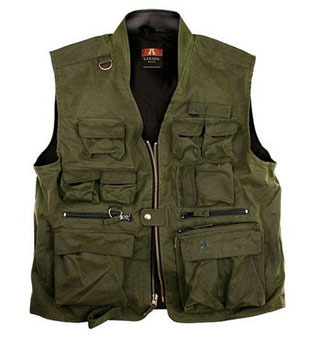 Like the jacket, both left and right front panels feature re-inforced holsters to support the weapon and clips in concealed internal pockets designed for rapid entry. Removable concealment shields for extra flexibility. Well did you already read about our Hoover Jacket, then this is what it looks like with the sleeves ripped out. The CCIS is already incorporated. 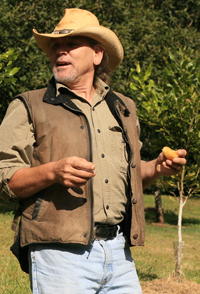 Kakadu has been producing their own oilskin for decades and this is our 5oz quilted, light, warm and durable. 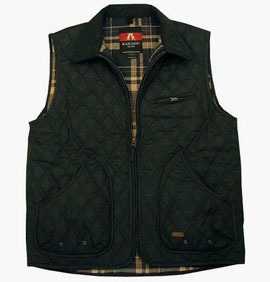 Lined with brushed cotton plaid with two internal security pockets. Adjustable waist tabs, large front hand warmer pockets with one external top zipped pocket, brass zip front closure and trimmed with a cotton Jacard. 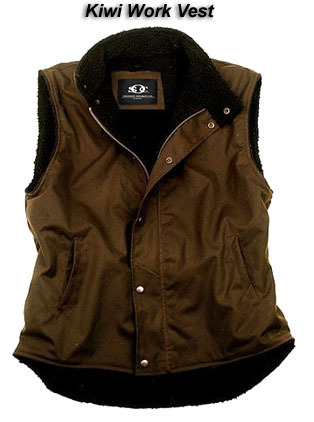 Goes with all the other workhorse garments, can't beat it first thing in the morning when there is a nip in the air, not much that you cannot do in this basic unit. We used 12oz traditional oilskin and lined it with Sherpa, drop tail back with adjustable tabs. 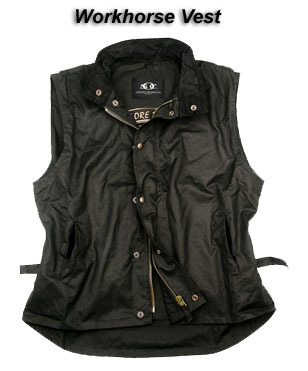 The stand-up collar forms part of the snap down front storm placket that covers the brass zip vest closure. We kept it clean by adding 2 welted hand warmer pockets, the security pockets are on the inside. 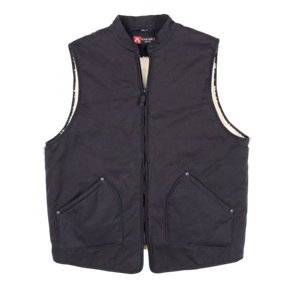 An all round work vest built with heavy weight Microwax canvas, adjustable waist tabs, corduroy collar and SOC print lining.